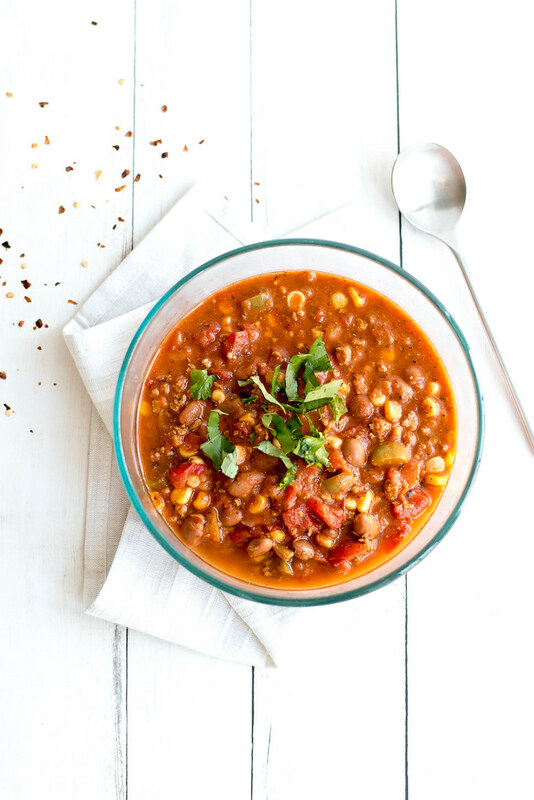 Chili is always on my weekend meal rotation, typically made on a Sunday when it can simmer away on the stove early afternoon just in time for an early dinner. The beauty about chili , 9 times out of 10 you always have the ingredients on hand to cook up a batch. Sometimes we serve with cornbread, over rice or elbow noodles but my favorite way to enjoy a bowl is with a handful of tortilla chips for scooping. Scoop, eat and repeat. We love breakfast. Some days breakfast needs to be quick and easy and other days allow for a long leisurely breakfast over a vegan eggs bene or banana pancakes. Any way you choose to breakfast it needs to be good. 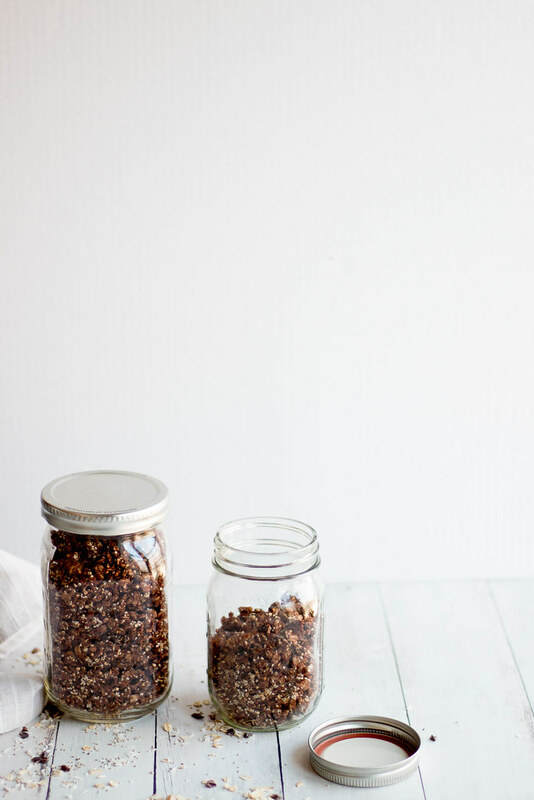 Making your own granola is so easy and much less expensive than any store bought granola. My granola's vary from super crunchy (this one) to a softer granola (like this one). I prefer the crunch while Justin prefers the latter. It kind of reminds me of cocoa pebbles. As I type this I am actually noshing on some coconut yogurt topped with this granola- soooo yum! Ahhhh March, the transitional month between Winter and Spring. A month that doesn't quite know what it wants. One day it is 60 degrees, gorgeous, birds are singing and trees are beginning to wake up. Just kidding, Winter is back with over a foot of snow, crazy winds and frigid temps. Seriously this is the worst month in New England, when all you crave is spring weather but you get crazy snow storms instead. So, on those March snow days you simply hunker down with your generator on stand by, a fully charged kindle, pull out the old blue rays you haven't watched in forever and make a huge batch of chickn' noodle soup. 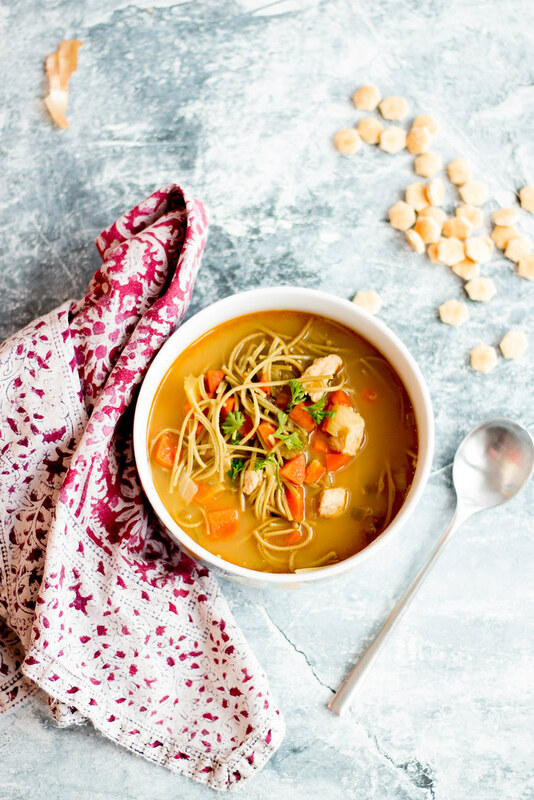 Chikn' noodle soup seriously makes everything better.